​A dual path alarm communicator is an add-on for a security system that will allow it to connect with the network using both a cellular connection and an IP connection. Most security experts believe that this is the very best way for keeping a security system connected. Check out our selection below. What makes a dual path alarm communicator great is that it provides a security system with network connectivity in two ways. These methods are IP connectivity and cellular communication. Most security systems will default to using the IP connection as its primary communication path and then have it automatically switch over to cellular communication if the IP connection is every unavailable. By doing this, the system will receive the incredibly fast speeds of the IP connection whenever possible, but it will maintain reliable connectivity with its cellular connectivity. When using dual path communication setup, the IP connection will typically serve as the primary means of communication. This means that the IP connection will be used whenever possible. In most cases, the IP connection will provide faster speeds than what is provided using cellular communications. Although most security systems do not require fast network connectivity, having a faster connection can provide a quicker response time in the event of an emergency situation. It can also offer faster usability when the security system interacts with an interactive service, such as Alarm.com or Total Connect. A dual path alarm communicator will typically require that an ethernet cable be run from the router to the security panel in order to use IP connectivity. If this is not feasible or undesired, it is possible to use a WIFI adapter in the ethernet port to essentially provide the panel with WIFI connectivity. However, most dual path alarm communicators do not come with a WIFI adapter, so one will need to be added separately. From there, the user will be able to set up the WIFI adapter with their router to gain IP connectivity. While the IP connection will be used the majority of the time, it could be argued that the cellular communication path is the most important part of a dual path communication setup. This is because it is very likely that the internet connection will be unavailable from time to time, and the cellular connection will serve as a very important backup in these situations. For instance, if the electricity is ever out and the router is not receiving power, the panel will rely on its cellular connection for sending outbound signals. This will allow your system to still contact you and the central monitoring station in the event of an alarm. Cellular communication on a security system is provided from a cellular service provider, such as Verizon or AT&T. The type of service that is provided will depend upon what type of dual path alarm communicator is installed in the panel. For instance, some communicators are specifically designed to connect with Verizon, while others are used for connecting with AT&T. Please note that this will have nothing to do with the service that you use for your phone, so we generally recommend choosing whichever service tends to work best in your area. You will also need to have an alarm monitoring plan that includes cellular connectivity in order to use a cellular network. 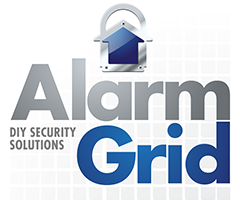 How Much is Alarm Grid Security Per Month?